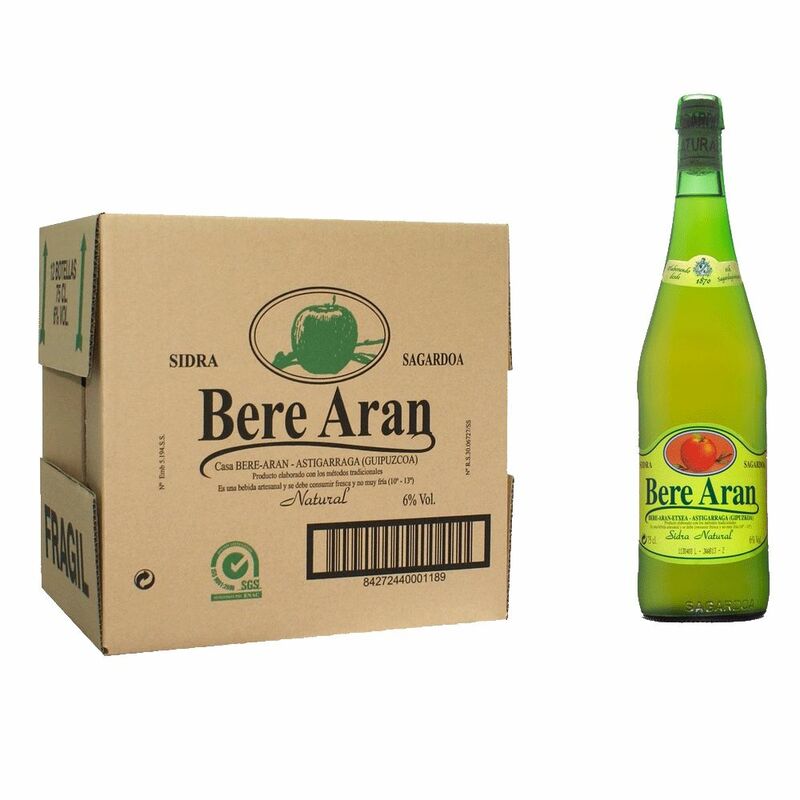 Sparkling Bere Aran Sidra Natural - Royal Wine Merchants - Happy to Offer! 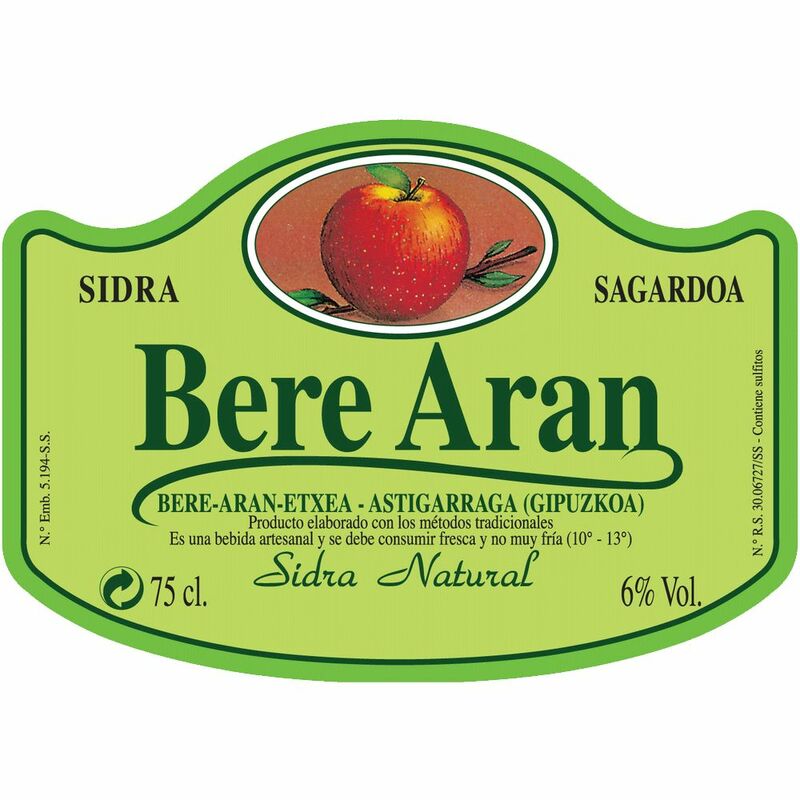 Bere Aran is an all-natural, hard cider from the Basque Country of northern Spain. It is made using traditional methods from fermented juice from 60 different native apple varietals. Founded in 1870 in Astigarraga, the Bereziartua family has been making cider for 4 generations. Fermentation takes place in small stainless steel tanks and the cider then rests in large neutral oak barrels for 2-6 months. Only native yeasts are used and no sugar or carbonation is added. Sugar content is less than 2 grams/liter. An interesting aspect of this cider is how the carbonation is produced naturally. It is poured in very small quantities into a wide glass using a technique called “escanciar” to get air bubbles into the drink. This creates a refreshing carbonation that lasts a short time. The cider is also poured from barrels during traditional “Txotx” or festive gatherings.